When your 2-year lease on the 2013 Nissan LEAF is about to expire should you pay to keep the car for a third year? How much should you pay and what are your options? Yesterday I asked about the residual value of a used Nissan LEAF. Obviously several factors, like market conditions and battery technology, determine it. While the prices of used LEAFs are falling, some LEAF owners suggest a month to month leasing as a viable option instead of buying a used one. Here are few responses from current Nissan LEAF owners from my question in the SF Bay Area Nissan LEAF Owners Facebook group. And this is my original article discussing what determines the residual value of Nissan LEAF. "Check with Nissan Financial," replies LEAF owner Brian Henderson. "The rumor is they allow month-2-month extension at same lease payment amount. If you commit to 12 months (different offer), they'll give you 2 free months. Same annual mileage, and the residual will be adjusted based on extended term you choose." "Yes, that's what they offered me," replied Kenneth A. Ribet, who had asked suggested that the residual value of the 2013 Nissan LEAF is the difference between the car's current value and the estimated value of the car one year from now. "But it seems like my current lease payment is based on the completely arbitrary choice of how much I put down two years ago. If I had put down $1000 more in 2013, my monthly payment would be $42 less than it is now, and Nissan would be charging me $420 less for the third year. That makes no sense to me," Ribet writes. It's based on the original contract amounts including the residual vehicle value at that time, replies back Brian Henderson. He also added that the current residual values are lower and likely to remain so for the next year, or two (while new EV incentives remain). Are you planing to purchase post lease (take gamble the Nissan may be offering a residual adjustment)? How your current payment compares to a new lease with a much lower (current) residual value? "Remember both you an NMAC are hedging future (commodities) bets on your used LEAF's residual value. The alternative option is leasing month-to-month and finding a similar, or better condition used LEAF (with market valued residual) to purchase," Henderson explains. Since the conversation was in the San Franciso area Nissan LEAF Owners' group, he also wanted to note that Electric Cars purchased or leased later this year in California will likely not come with HOV stickers (which has some market value). As you can see there is no easy answer. 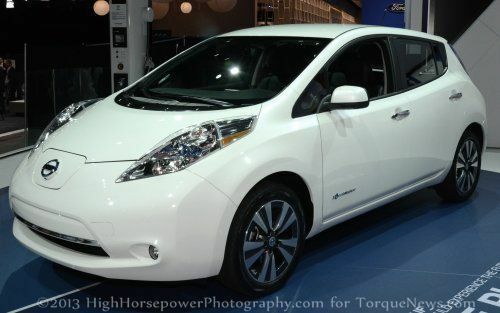 What's your best guess for the anticipated drop in Nissan LEAF's value? Extending the lease by committing to 1 more year and getting 2 months free sounds like a great deal. No sales tax or processing fees means you should save big time over picking up a "New" lease plus getting 2 months free. I was just offered the same 12 month extension and 2 months free if I were to extend it a full year. In addition I was told I could end early without penalty as long as I gave a 30 day notice. About two weeks ago I received an offer to take $5000 off my residual value if I chose to keep it. I wonder how that will affect future lease residual values and if that means that a 2015 lease will be a higher monthly payment. The 2 yr leases for our 2 2013 Model S expired in March 2015 - we did renew for one year with 2 months free. Now March 2016 is nearing - wondering whether they will offer another extension the 199/mp *2 is fine and willing to continue - not wanting to put down more down payment and not impressed on getting the newer Leafs yet. Anyone hearing any word on the street?